The former Texas congressman explained that The Fed has made critical policy errors that have helped caused a "rigged economy." "Everything is just very burdened with debt, and there's no stopping it." According to Paul's latest prediction, the February pullback may be just a blip compared to what's ahead. "The correction is going to be huge, and I don't think anybody can predict. But I think this correction we had in '08 and '09 wasn't allowed to really go its course and restore some sensibility to the market. I think that'll be a mild correction compared to what could happen." 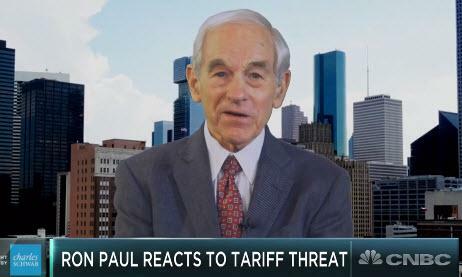 Paul warns investors should not be shocked by a stock market plunge as deep as 50 percent.